Better Pressure Retention – Because of its larger molecular size, nitrogen migrates through a tire three to four times slower than oxygen. Tires are not impermeable, and oxygen molecules migrate through the sidewalls, belts, tread, tire bead, and valve stem. Using nitrogen tire inflation will slow this migration, and help each of your fleet vehicles to maintain proper tire pressure for a longer period of time. Improved Handling – Proper tire inflation ensure the recommended “contact patch” of your tire is on the road. Tires that are over or underinflated will create uneven wear patterns, making them less safe on which to drive. 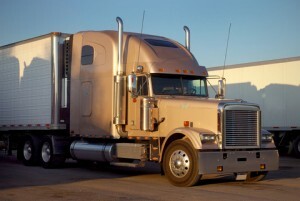 Over/underinflation also negatively affects fuel efficiency, which leads to our next reason. Higher Fuel Economy – Proper tire pressure lessens rolling resistance and maximizes fuel efficiency. Research has found that proper tire pressure leads to a 3.3% increase in fuel efficiency. This may not seem like a lot, but for a managed fleet with 100, 1000, or 10,000+ vehicles, those few percentage points add mean a return on investment for nitrogen tire inflation and fuel cost savings in the long run. A tire that is 15 percent underinflated has a 2.5% decrease in fuel economy. Enhanced Safety and Reliability – Under-inflated tires cause 90 percent of blowouts. Nitrogen provides more reliable pressure for reduced blowout potential. 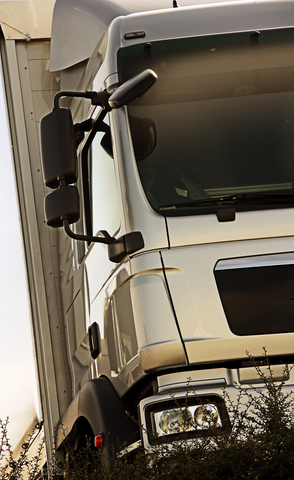 Safety and reliability should be a top priority for all members of a managed fleet. Longer Tire Life – Under-inflated tires wear quickly on the shoulders, and overinflated tires wear in the center. In addition, removing oxygen eliminates oxidation and condensation that can damage inner liners, steel belts and rims. Proper tire pressure, which nitrogen maintains for a longer period of time than air, increases tire life by 20 percent. A tire that’s 15 percent underinflated has eight percent less tread mileage than one at proper tire pressure. The increase in tire life could mean savings in tire expenses or in retreads for a managed fleet. Better for the Environment – Anything that improves fuel efficiency and reduces toxic emissions is good for the environment, and nitrogen in your tires can help. Anything that your managed fleet does that’s considered “green” or “sustainable” is also great for marketing purposes, since it’s a way not only to differentiate from the competition but also to appeal to customers. The trucking industry is vital to just about everything. The produce at your grocery store, the new television at Best Buy, and the new cars at the dealership all get where they need to be because of trucks. Despite their overall importance to the economy, the way the industry works has remained largely unchanged for decades. One of the ways they haven’t changed is in their fuel efficiency and consumption, and this post on GreenUnite offers three ways the trucking industry can go green. However, the article missed a fourth way the trucking industry can go green, a way that is so much easier to implement than the three mentioned in the article. That way is nitrogen tire inflation. Nitrogen tire inflation is the process of using nitrogen in tires instead of regular air, and with the right equipment, it can be implemented in a managed fleet more quickly and easily than reducing speed (truckers are on tight deadlines, and can’t afford to waste precious time by going slow, or to lose business for slower deliveries), using alternative fuels (the truck takes what the truck takes. Hybrid 18-wheelers aren’t yet on the market, and until they are, this isn’t possible), or building a more aerodynamic truck (again, until one comes on the market, nothing’s changing). The great thing about nitrogen tire inflation as a way for managed fleets and the trucking industry to go green is that it is something that individual fleets or trucking companies can do on their own, and tomorrow. The technology already exists, and a single fleet can purchase this technology and do their part to go green without waiting for legislation, or innovators, or the industry to make changes themselves. Nitrogen also improves tire life because it’s not necessarily nitrogen that’s so special, but it’s the oxygen and water vapor in compressed air that’s damaging to tires. Oxygen reacts with the tire rubber, causing it to deteriorate over a long period of time. An improvement in tire life could mean that managed fleets could get one more retread out of each tire. The water vapor can also do damage to the wheel studs by rusting them over time. Water vapor is also much more reactive to temperature, causing tire pressure to fluctuate. The tires will warm up after a drive, and could be read as overinflated if tire pressure is taken right after getting off the road. This means that the driver will release the pressure, making them underinflated. This can make the tires unsafe to drive on by putting them at risk for flats and blowouts. How does a managed fleet or trucking company get involved with nitrogen tire inflation? Nitrofleet99 is a the only nitrogen tire inflation firm in the country that services managed fleets, and will work with your fleet or your company to create a strategy within your maintenance infrastructure so that every single one of your vehicles will receive nitrogen in their tires when they go through regular maintenance. Nitrofleet99 will also teach you how to use the technology, and will provide enough for your fleet whether its five vehicles or 5000 vehicles.